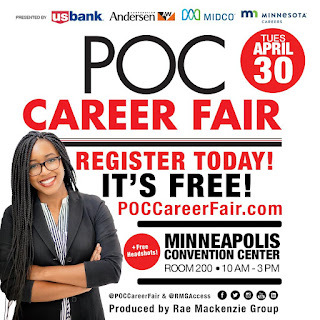 as a featured exhibitor at the POC Career Fair. City careers are great careers! 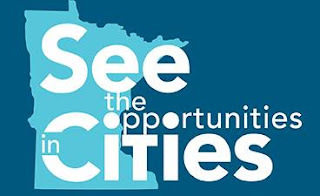 That's the message League staff are bringing to the People of Color Career Fair on April 30 when we'll be representing city employers across the state as an exhibitor. Several city staffers will be joining us to mingle with attendees and share what it is about their jobs that they love. They’ll encourage job seekers to check out www.lmc.org/cityjobs for opportunities that will help them make a difference at the local level. public employment and its opportunities to make a difference. Whether your city is big or small, we know that reaching a diverse pool of prospective city superstars is a priority. This career fair is part of our broader effort to help get the word out about great city opportunities to job seekers near and far. We have several more events in store for the upcoming year, and are looking for chances to bring this show "on the road" to an event in Greater Minnesota. So stay tuned, and contact Donyelle Mikacevich if you'd like to get involved!